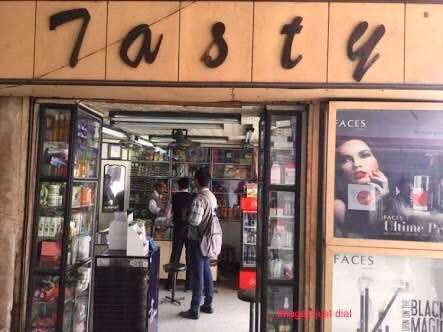 A hidden treasure of South Kolkata, this unassuming shop simply has it all. Dakshinapan is famous for its state emporiums and a number of apparel shops. But this shop on the first floor is a treat for all tea connoisseurs. It has a very good range of the champagne of all teas-Darjeeling tea. You can choose from Makaibari, Lopchu, Goodrich etc. You also get an amazing array of mouth fresheners which are oh so important after a good hearty meal. Be it dried pan, or a variety of savoury supari, or a range of flavoured Saunf, you actually have a difficult time choosing. The owner lets you sample them which means you are further confused! Since the shop is tucked away on the first floor of this shopping complex, you might actually have some difficulty locating it. When you're tired from all your choosing and shopping, try the jaljeera sold here. You can pick up packets of this jaljeera mix also. There are some extremely tasty concentrates like Aam Panna also available here. Be sure to heed the advice and suggestions of the owner. This place also has a reasonable stock of basic cosmetics. So you may pick some on the go!